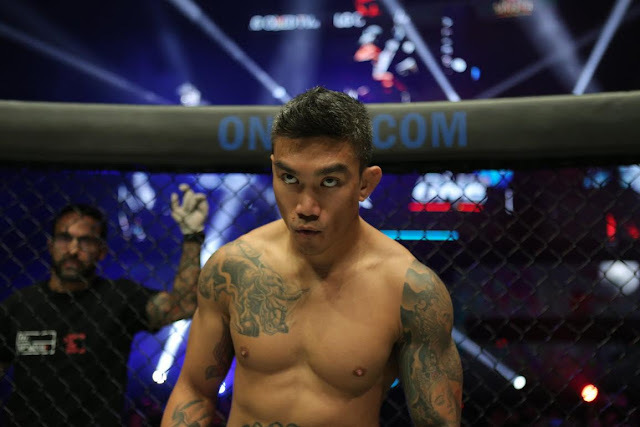 Filipino fighter Vaughn “The Spawn” Donayre is not taking Vincent Latoel lightly as he expects his Dutch-Indonesian opponent to have a must-win mentality when they square off against each other on the undercard of ONE: QUEST FOR POWER in Jakarta, Indonesia on 14 January. Latoel, a highly-decorated kickboxer from Deventer, Netherlands, aims to snap his two-fight losing skid at the expense of Donayre. The 37-year-old mixed martial arts (MMA) veteran stumbled in two of his ONE Championship outings in 2016, yielding to former ONE Lightweight World Champion Kotetsu Boku in February before suffering the same fate at the hands of Filipino standout Edward Kelly last August. According to Donayre, it is a no-brainer that Latoel is driven to put himself back on the winning track. “It’s given that he wants to win because he lost two of his fights in 2016. I expect him to be hungry for that win,” he said. Even though he has a win-hungry foe in front of him on fight night, Donayre is not allowing Latoel to ruin his goal of having his hand raised in triumph. Like Latoel, Donayre’s back is also up against the wall as the 5-foot-10 Cebu native looks to break his four-bout losing spell inside the ONE Championship cage. “If he is hungry to win, I’m more motivated and determined to win this fight. I am giving everything for this fight to make sure that I will get the victory,” Donayre stated. With the ambition to insert his name into the winner's column and regain his reputation as one of the Philippines’ best lightweight competitor, Donayre revealed that he is pushing himself to the limit in training. “Fight preparation is doing great. Everything is going well in training camp. I am working on fight specific to beat Mr. Latoel. I won’t let him take away this one from me,” he declared. Donayre believes that he has the skillset to defeat Latoel, but he refused to downplay his cage counterpart’s experience. Latoel is a seasoned combatant with over 30 professional bouts under his belt and has faced the best combatants in the Asian MMA circuit like Eduard Folayang, Eddie Ng and Adrian Pang. “He is very experienced and willing to put everything on the line to win. That makes him dangerous. Vincent is someone who just comes to fight,” Donayre said of Latoel. However, Donayre sees a loophole in Latoel’s overall MMA game, which he will try to expose in their three-round featherweight encounter on 14 January. “I would like to take advantage of the fact that he comes forward with reckless abandon. I am looking at that aspect and try to capitalize on it,” he shared. Although he has a tough task ahead of him, Donayre is confident that he will walk out of the Jakarta Convention Center with the victory. “I need this win. I can’t lose forever. It feels like I’ve been losing forever already. But this is my chance to prove that there is a light at the end of tunnel. No one stays on the losing side,” he ended. ​​​​For more updates on ONE Championship, please visit www.onefc.com, follow us on Twitter and Instagram @ONEChampionship, and like us on Facebook at https://www.facebook.com/ONEChampionship.